If you’re a candle freak like me, chances are you have a few near-empty jars laying around your house. 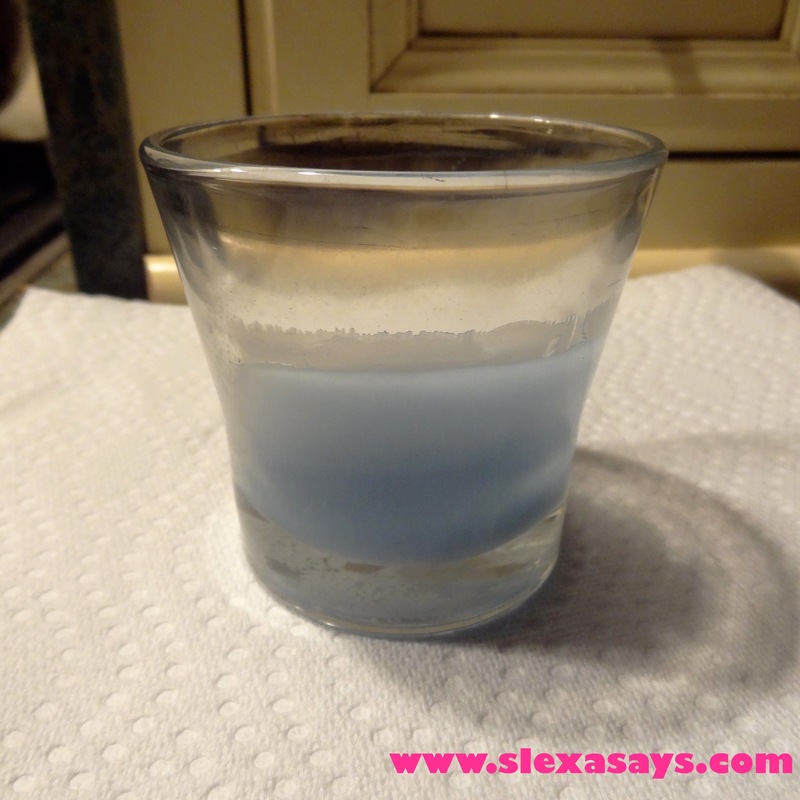 Don’t let the residue of your “Warm Vanilla Cupcake” candle go to waste! 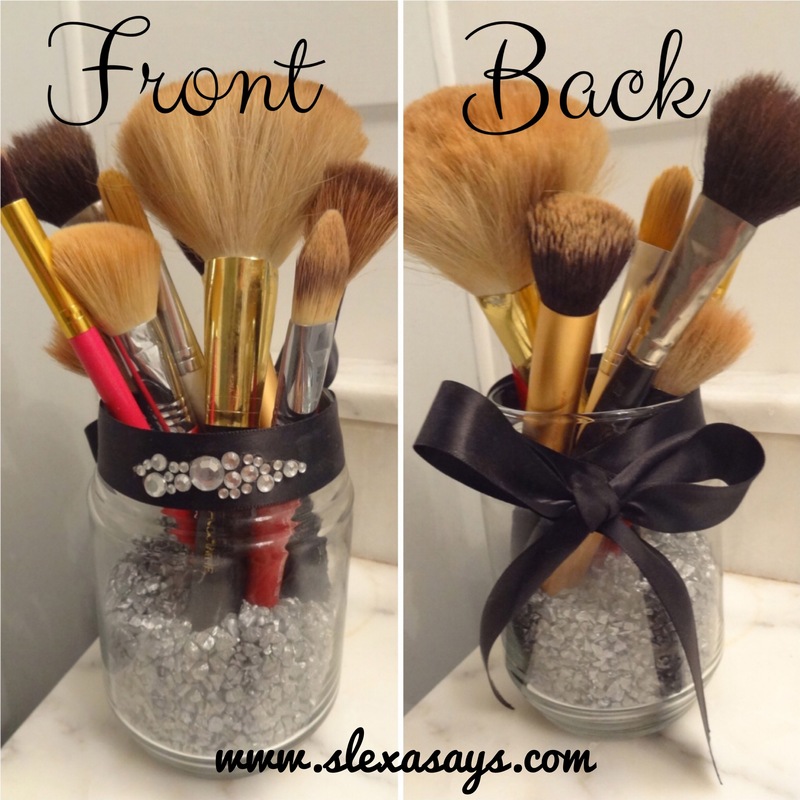 Follow these easy steps, and learn how to reuse your candle jars for storage. 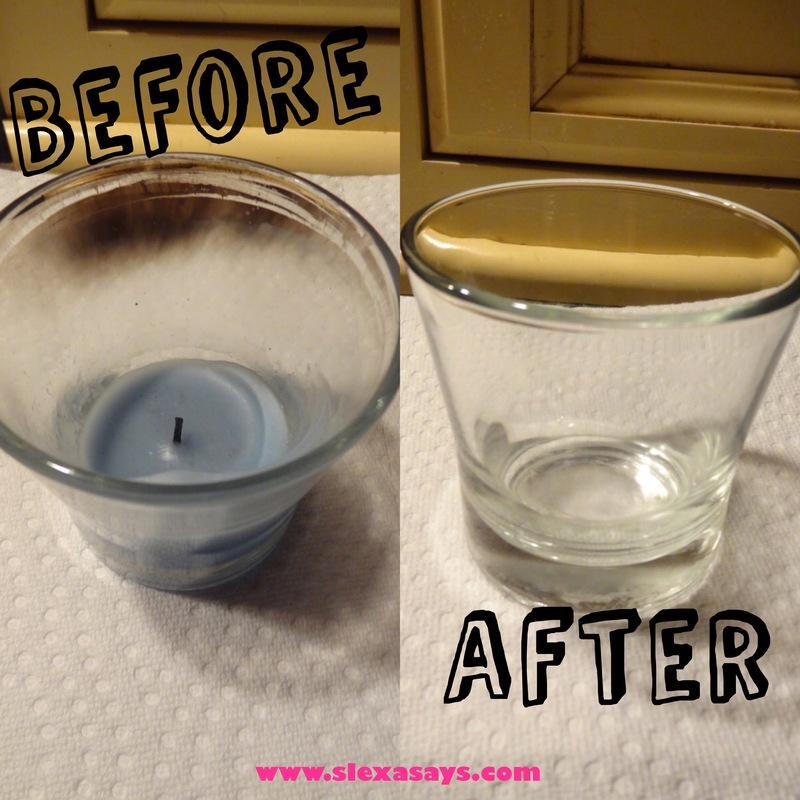 It’s best to “de-wax” your candles in the kitchen, as you will be working with boiling water. After clearing a small area of countertop that is closest to your stove, place your candle jar on two layers of paper towel. 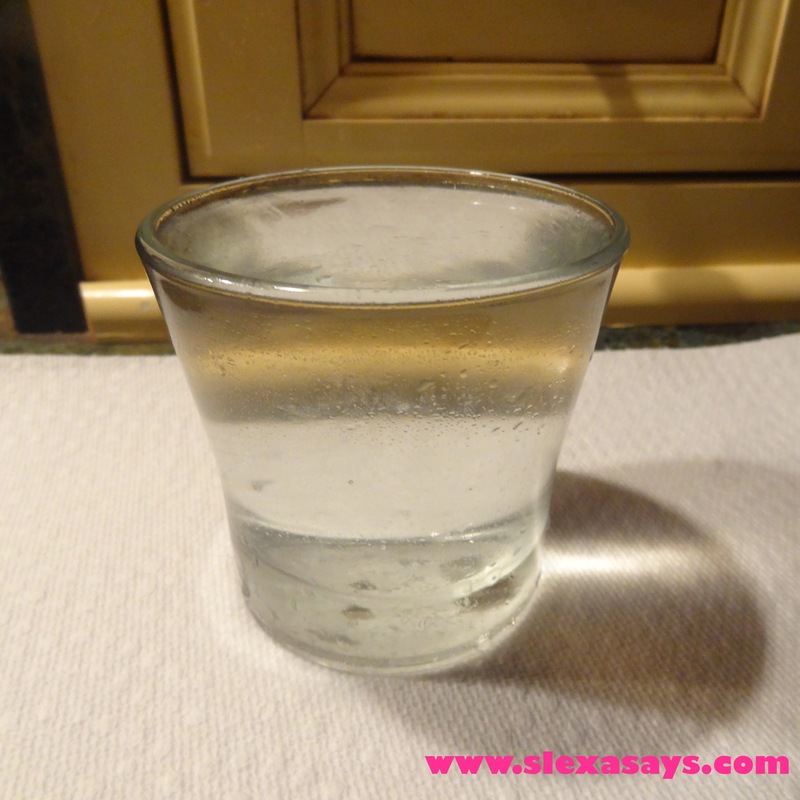 The amount of water you boil will depend on how big/small your candle jar is. For my candle, I boiled 3 cups of water in a teapot. Using a teapot is the easiest and most effective way to do this. If you don’t have one, you can boil water in a pot, or you can heat up your water in the microwave. 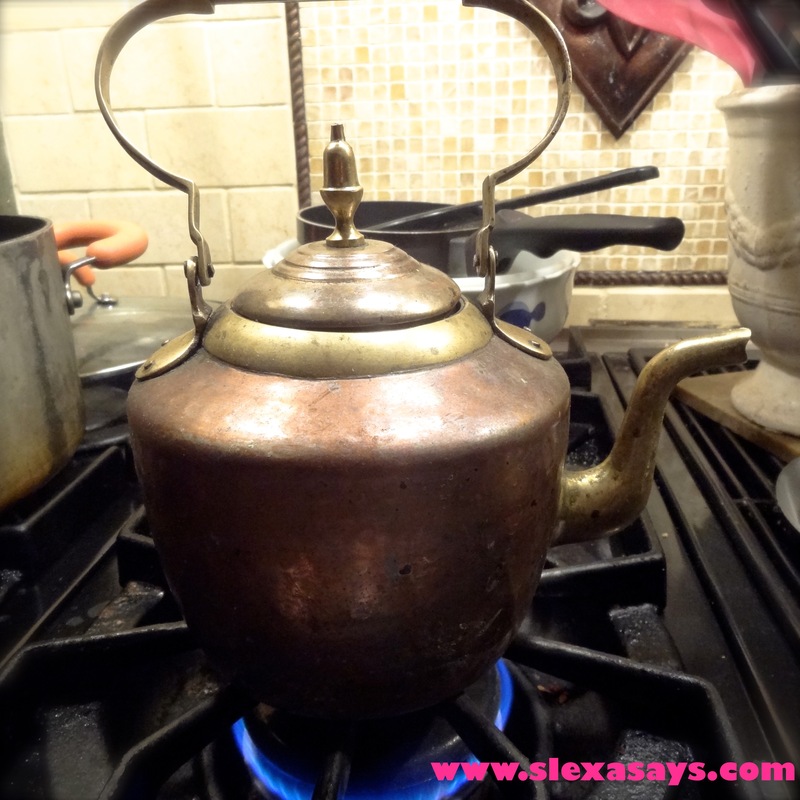 Once your water is boiled, carefully pour it into the jar – to its brim. The longer you let the water sit in your jar, the better. I however have no patience, so within minutes I skip to the next step. 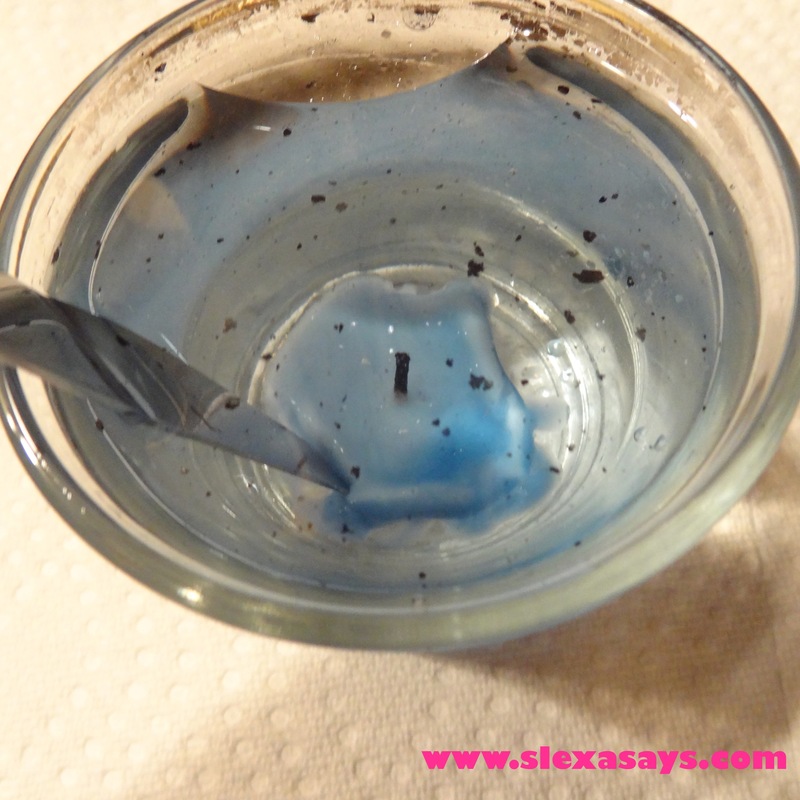 With a butter knife, scrape the excess wax off of the bottom and sides of the jar. Once you have scraped all of the wax off of the glass, pour out the excess. The best place for disposal would be your toilet bowl, as to not get wax stuck in the drain of your sink. Since the water from your teapot will still be hot, pouring it into the jar will help get any residue wax off of the glass. Let this sit for 5 minutes, and then pour out. 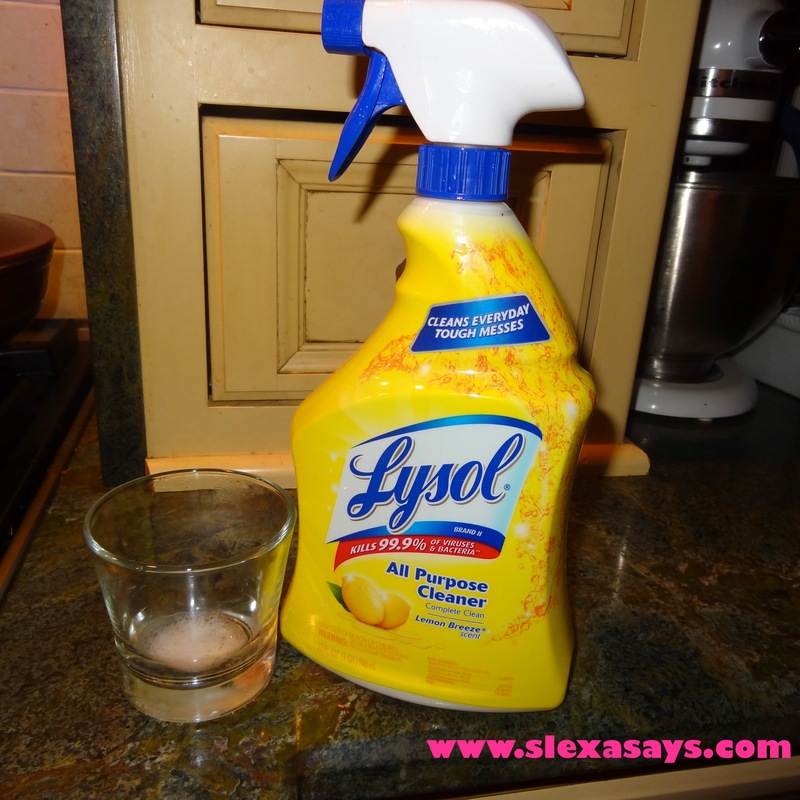 With an all purpose cleaner and paper towels, clean your jar until it is completely clear. 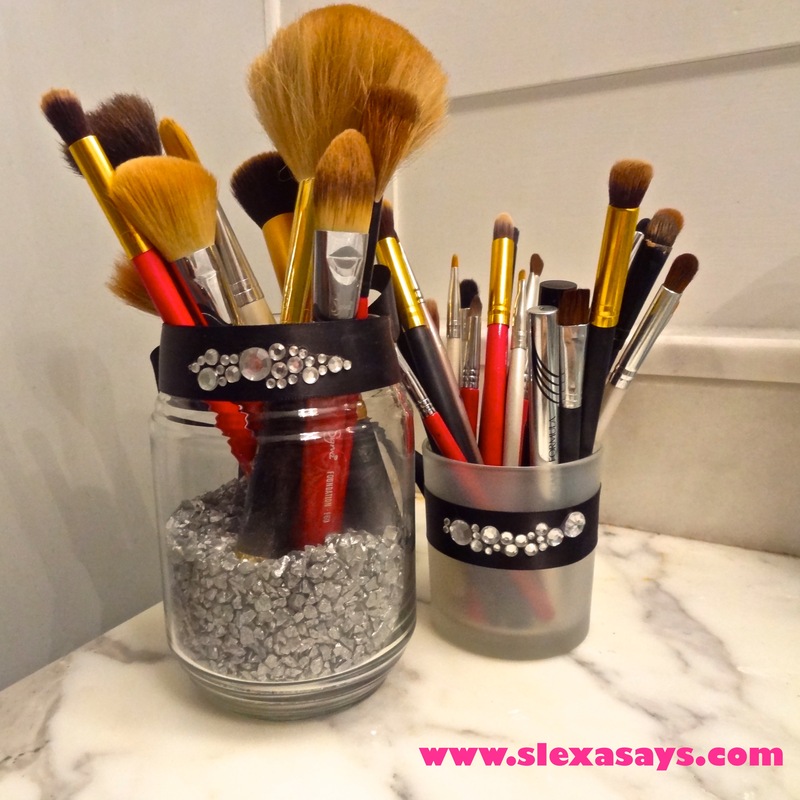 I personally use my old candle jars for storing my makeup brushes. Your restored candle jar can act as anything from a pen holder … to a flower vase. The possibilities are endless! I decorated the jars you see above a few years back. All of my supplies were purchased from Joann’s. 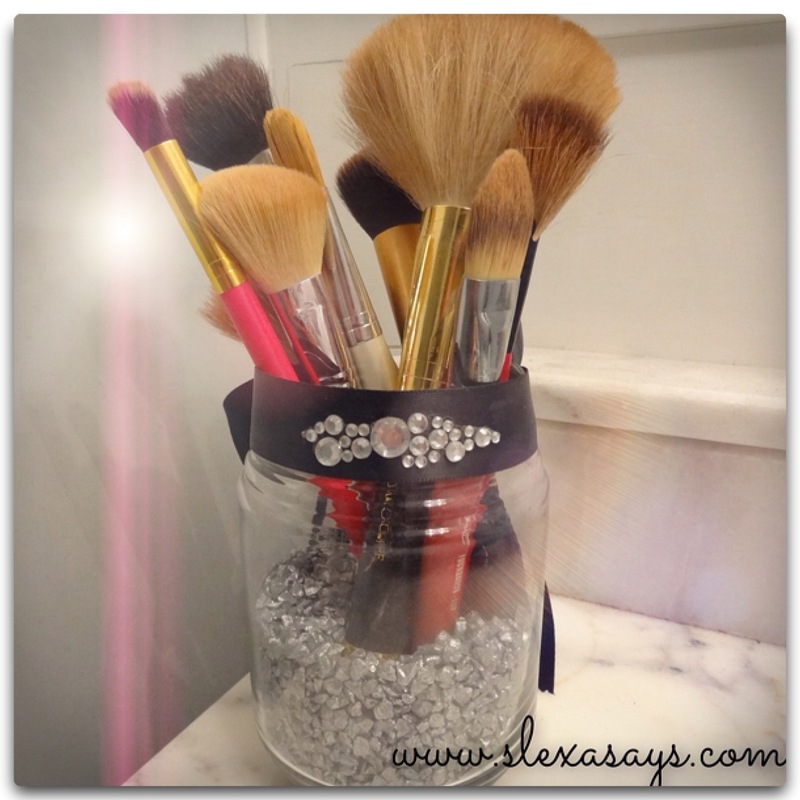 I filled the base of my jar with silvery rock beads, hot glued a black ribbon around the glass, and placed gems with adhesive onto the ribbon. The decoration step is really all up to your imagination, and what is going to best suit your needs/style. If you create your own rendition of these candle jars, please tag me!! I’d love to see. Great idea! Thank you! I look forward to trying this for extra storage of small items in my classroom!